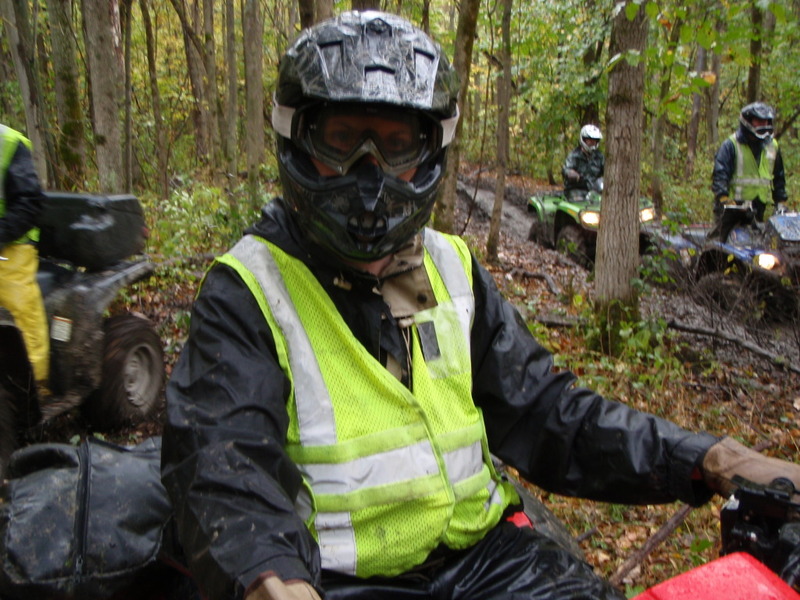 Fall is an excellent season to enjoy the use of your ATV, you can get out there and see all the beautiful scenery of the changing seasons. 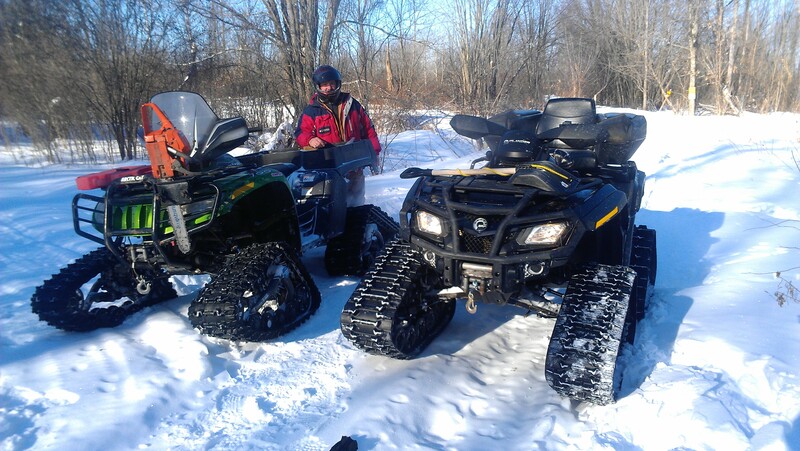 While most ATV clubs are gearing down for the season at this time, the Nation Valley ATV Club is just getting warmed up, getting ready for their busy Winter season. 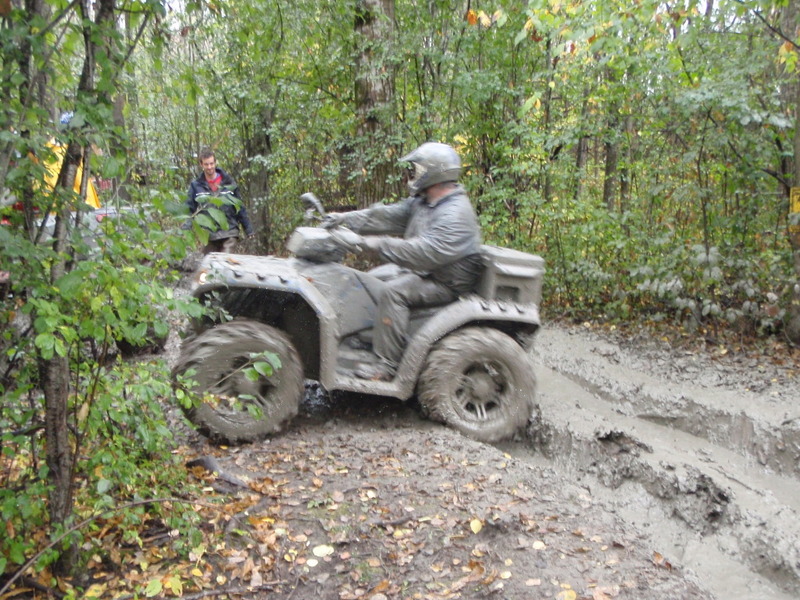 The Nation Valley ATV Club had their inaugural trail opening rally on the first Saturday of October, back in 2008. 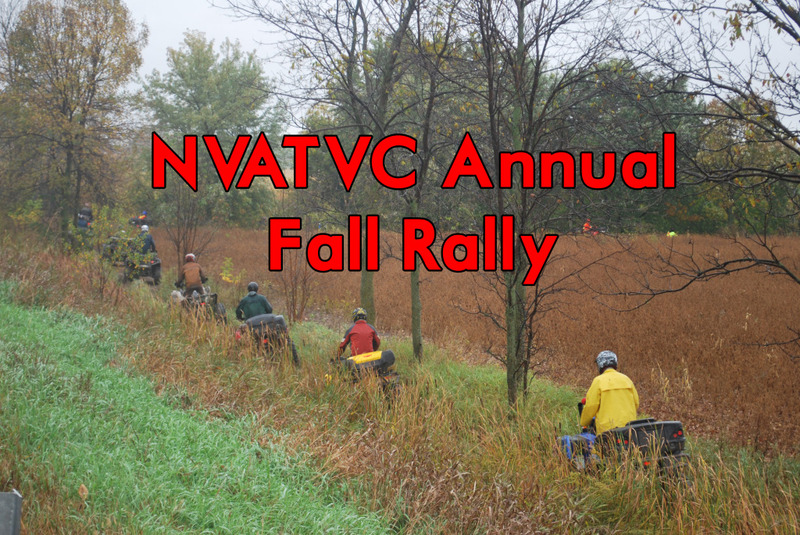 To commemorate this event, the Nation Valley ATV Club has an annual fall rally and roast pork dinner on the first Saturday of October. This Annual Fall Rally helps remind us of how this club got started, and it’s our fundraising ride to build the trail grooming fund to keep the trails groomed and open for the Winter season. 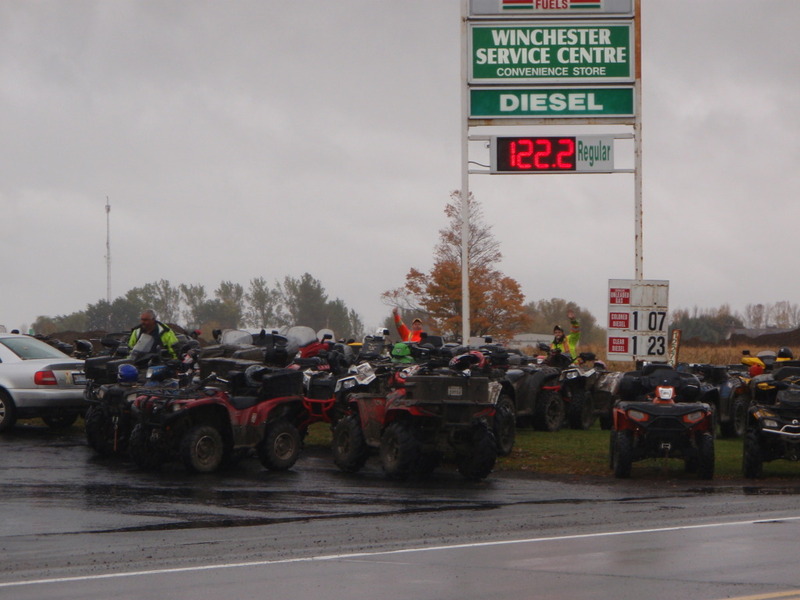 ATVers across the province gather in South Mountain, Ontario at the Agricultural Hall, with ample parking on the fairgrounds and around the gravel race-track. 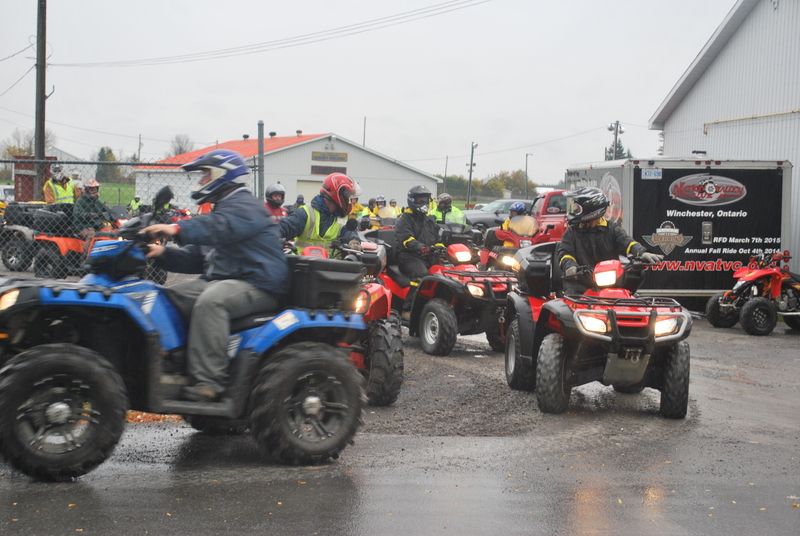 The ATVs congregate in the hall parking lot, as participants head inside to register for the ride, enjoy a hot beverage, purchase club merchandise, and peruse the stage filled with prizes. 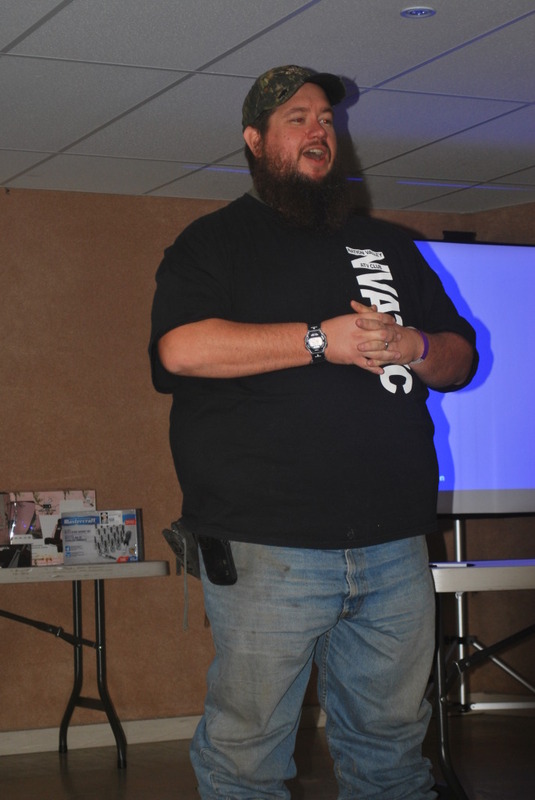 This year marked a new turning point for the club, where participants were able to prepay online to register for the ride (to speed up the registration process) and purchase memberships and souvenirs with credit card or debit. The prepaying was a fabulous addition to speed up the morning process. After refreshment, registration, and a chance to mingle, Nation Valley ATV Club President, Dave Baker, engaged the participants in a riders speech, reminding everyone of the rules of the road and trail, the game plan for the day, and time frame for when everyone should aim to be at the bridge crossing, at the trail-side-lunch, and back to the hall for dinner and prizes. 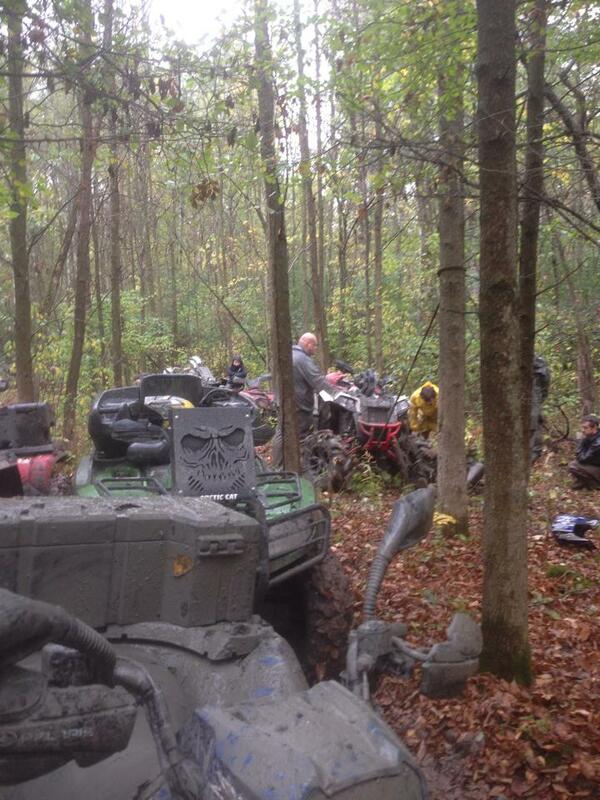 With the rider speech taken care of, everyone geared up and hit the trail. NVATVC wardens led the rally for the first 40 minutes of the day, to get everyone to the bridge crossing at the scheduled time, as local OPP were on hand to block traffic so the rally could cross the Cass Bridge to run the South Dundas loop of the trail system. 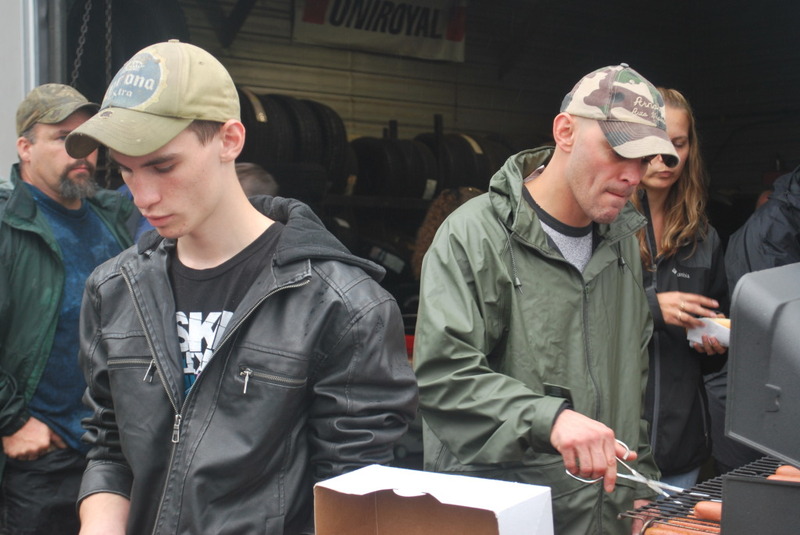 After the bridge crossing, riders dispersed and travelled at their own pace along the mighty Nation River following the posted trail signs until they came upon Winchester Service Centre where volunteers had prepared a “trail-side” lunch of grilled hotdogs and bottled water. 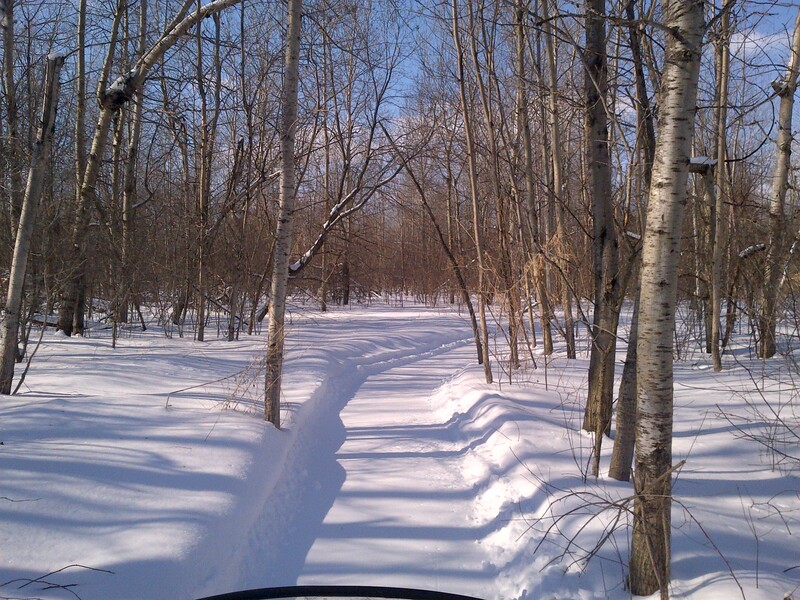 NVATVC wardens remained spread throughout the trail system, to ensure everyone had a safe day, with a clean-up crew coming through at the end to make sure no one got left behind. Once the riders were fueled up with hotdogs, and fuel for their machines, they continued around the North Dundas portion of the loop, heading back around towards South Mountain—through overgrown fence lines, new growth forest, unopened road allowances and bush trail. 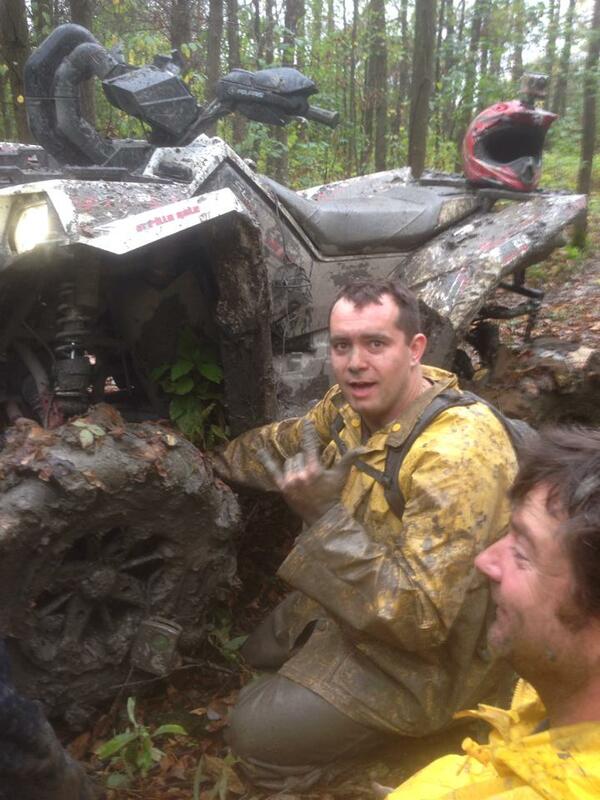 The afternoon included many opportunities for the more adventurous rider to choose the wetter trails and test their mettle and their tires! 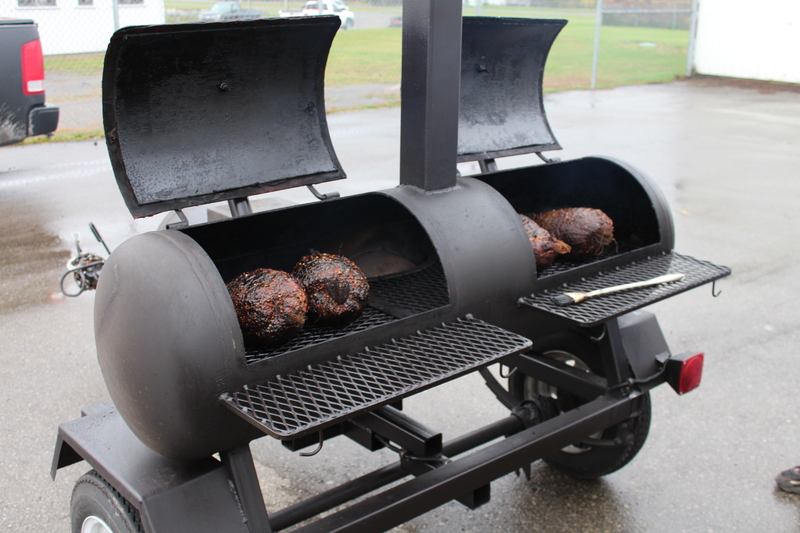 As groups of riders returned to the Agricultural Hall, they were greeted by the lovely aroma of the roasting pork, the warmth of the hall, and a chance to clean up and change for dinner. Once tidied up, riders checked their prize ticket to collect their door prize then their ticket was placed into the grand prize bucket. 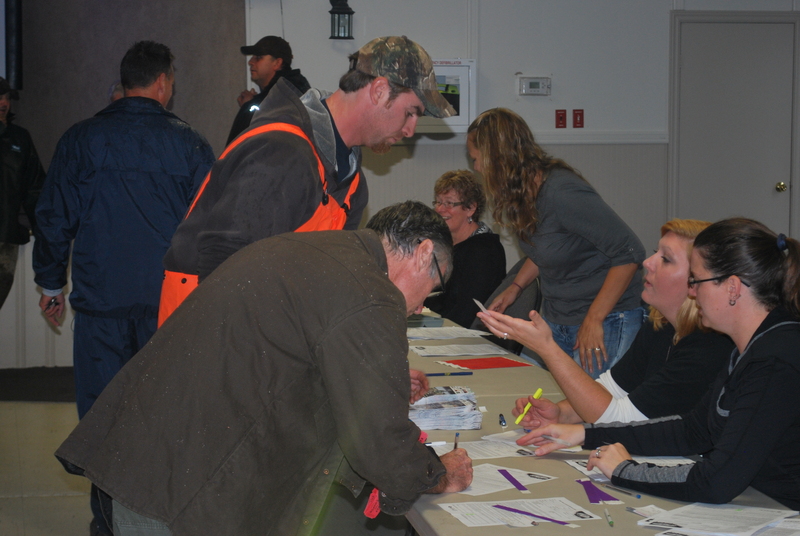 The Winchester Heelers put together a buffet style dinner in support of Breast Cancer research—enough roast pork, beans, buns, and salads to satiate even the most ravenous appetite. 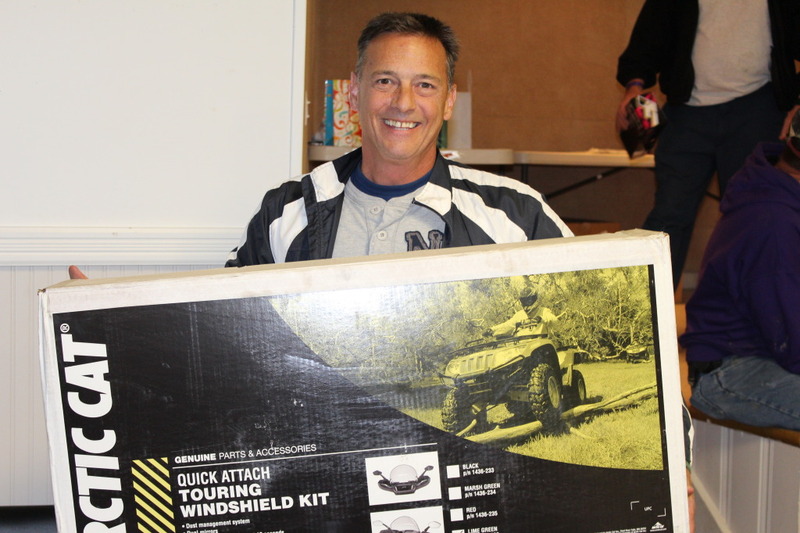 Organizers thanked sponsors, participants and presented Volunteer appreciation awards followed by the grand prize draws—donated by Allan Johntson Repair and Sales—including ATV windshields, a winch, and a flurry of other equally grand prizes. After 120 km of trail and a big dinner, riders headed for home, certain they would not have any troubles sleeping that night. 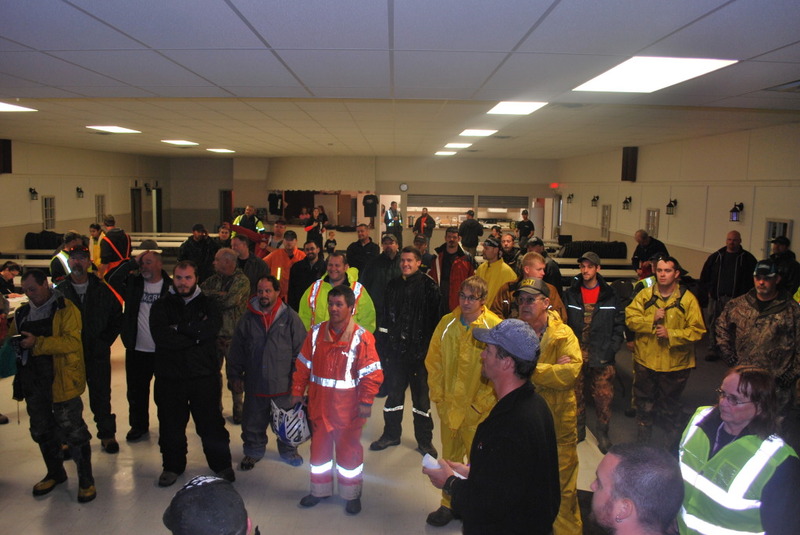 The ride was a success with 70 participants raising much needed revenue to keep the winter groomers fueled up and repaired for another winter season, and over $500 to the Winchester Heelers in Support of Breast Cancer research. Riders left with a reminder to mark their calendars for the 3rd Annual Telus Nation Valley Ride for Dad coming up on March 7th, 2015 a ride not to be missed!